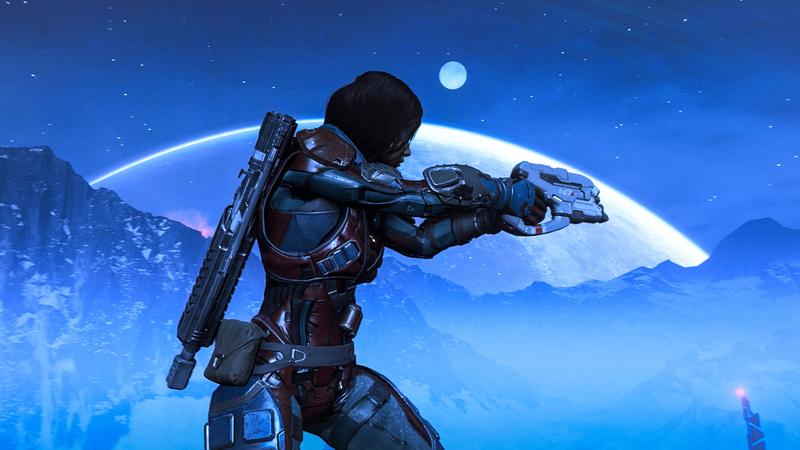 Mass Effect Andromeda, the recently released new entry in the series developed by BioWare, is a rather big game, but it seems like it could have been much bigger, according to what has been recently revealed by a member of the team. BioWare’s Fabrice Condominas revealed in a recent interview with Finder that the team actually explored the possibilities of procedurally generated planets for Mass Effect Andromeda, before abandoning the idea as they never managed to reach the level of quality they were pushing for. Yes, obviously we are looking at what else is happening in the industry overall. In the specific case of No Man’s Sky, at the time it was released, we were already deep in development. But we noticed that it was very focused on procedural worlds and we tried that, actually, over a year. Our conclusion at the time was that it wasn’t for us in the sense that it wasn’t for the type of game we were doing. Because all the content we build we try and make to a high quality, but when we tried procedurally generated content we never reached the level of quality we wanted. The many planets that can be seen from space view but not explored were among the planets that would have been procedurally generated. In the end, the team settled on quality over quantity, as Mass Effect Andromeda definitely doesn’t lack things to do. That idea certainly crossed our minds and yes we tried those things, but in the end we went with quality over quantity. The game is already huge, so I don’t think people will feel lost on things to do. Mass Effect Andromeda is now available on PC, PlayStation 4 and Xbox One.